Marianne is someone who was capable of living independently with the right support, but was likely to be stuck in aged care. Marianne is a 66 year old woman who lives with Multiple Sclerosis. She uses an electric wheelchair for mobility and is reliant on attendant carers for meal preparation and personal care in the morning and evening, funded through her Individual Support Package (ISP). Marianne has lived independently in public housing in St Kilda for 20 years, accesses the community by herself and has supportive family members and close friends. In June 2017, due to a shortage of individualised trained carers, an inexperienced and untrained support worker was rostered by the service agency to assist Marianne. 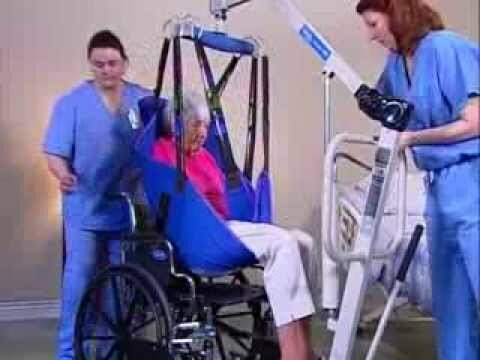 The worker was not able to safely transfer Marianne from her bed to her wheelchair using the hoist and Marianne fell to the floor. The result was a broken hip and knee which required a hospital admission and surgery. Marianne spent the following six months in the Aged Care Ward of a large public hospital, unable to be discharged home due to her injury because she was now assessed as needing two carers for hoist transfers. The care team at the hospital was reluctant to discharge her until additional funding could be sourced for a second support worker. Marianne required funding for an additional 17 hours per week to assist with transfers. At 66 years old, Marianne is ineligible for the National Disability Insurance Scheme. The Department of Health and Human Services (DHHS) declined her application for the additional 17 hours per week, only maintaining her current level of funding. A My Aged Care Package was suggested but this option would not provide the level of funding necessary because Marianne’s support needs reflect her disability – as opposed to her aged care needs. Her right to disability support had effectively been frozen. While she had sufficient funds saved from her ISP during her hospitalisation to provide support to the end of January, the only option then was for her to move into an aged care facility. (a) Persons with disabilities have the opportunity to choose their place of residence and where and with whom they live on an equal basis with others and are not obliged to live in a particular living arrangement. (b) Persons with disabilities have a range of in-home, residential and other community support services, including personal assistance necessary to support living and inclusion in the community, and to prevent isolation or segregation from the community. As a result, the DHHS suggested additional funding, and we arranged for the care team to clarify what was needed with DHHS, resulting in an ongoing increased amount to support her needs, not only for the current year, but as long as it is required. Marianne is now able to continue to live a more fulfilling life at home.